We know that modern day Irish, Scots, Welsh, Bretons and (to a lesser extent) English people are descended from Celts but what happened to the Celts in the other places - Iberia, France, the Low Countries, Germany, central Europe, Romania, Serbia and Turkey? It seems unlikely that most of them were wiped out by Germanic and other invading tribes. It would seem that they were assimilated into the mixed genepool of the previous inhabitants prior to the bronze age. The Celts overall weren't a homogeneous group. They were linguistically/culturally bonded; so the genetics between each population had minor discrepancies, but close regardless. 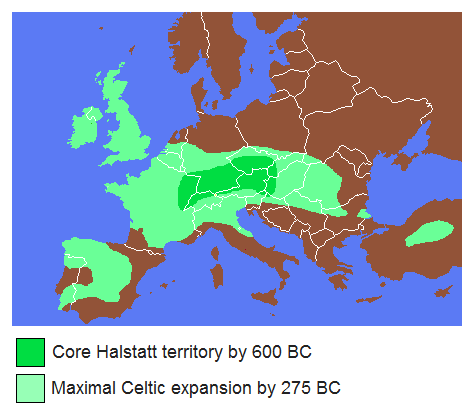 The origins of the Celts is undeniably in Central Europe before their prominent dispersals elsewhere. Their homeland was mostly concentrated in Czechia ( Czech Republic), Austria, Germany, etc. Britons/British Isles Celts mixed with Bell Beaker peoples (whom also had high Steppe admixture). Celts in Iberia mixed with native Iberian tribes that were more Neolithic shifted genetically. The Celts in the Low Countries was a melting pot between Germanics and Celtic tribes. 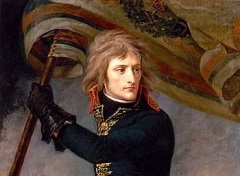 French is a mix of Celtic (Gaulish), Gallo-Roman, Germanic and Iberian genetics. Celts in Romania got absorbed with the native Balkanic/Slavicized population. <---- Same with Romania. Turkey is genetically West Asian and the Celts were small in number to make a substantial impact on their dna when Anatolia is a mix between native Anatolian, Jewish, Kurdish, Armenian, Caucasian, Greek, Balkanic, Arab, genetics all in one. Nevertheless, if I had to speculate whom "could" be classical Celts in Central Europe; I would say Bavarians and maybe Swiss people who weren't Slavicized as Czechia nor Germanicized as Austria or Germany.